So far The Book Chook Favourites series has covered Book Creation, Making Posters, and Cartoon Creation. Today I bring you my favourite creative online platforms for playing with words. Of course, there are many, many word games online, but today I concentrate on those that are something more than just an electronic version of a pencil and paper game. Word Clouds are without doubt my favourite way to play with words. They combine one of my loves, words, into an image that helps me see words and concepts in a whole new way. I've written about them several times on the blog; in Word Clouds, What's the Use of Word Clouds, Dress Up Your Words with Tagxedo, and Book Chook Tutorial - Adding Pics to Wordle. There are several online places we can generate a cloud of words where the most important words are bigger than the others. I like Wordle, Tagxedo, and ABCya Word Clouds. I haven't had time to properly explore Tagul, Word It Out or Wordlings yet. Word Clouds can be used in lots of creative ways. Even generating a word cloud from pasting in a child's own story can be interesting, and I love the look of birthday and Christmas cards with wordles of family names on the front. I used Wordle Advanced to generate my image above, choosing font, colour and size of font as I described in What's the Use of Word Clouds. Googling "educational uses for Wordle" will bring you lots of literacy-related ideas. I told you about this website in detail in Save the Words. It encourages kids to focus on uncommon words or words that are in danger of extinction. I love it because of the emphasis on increasing our vocabulary and enjoying the richness and variety of the English language. The interactivity comes in because you can zoom in on words (all clamouring "pick me! pick me!") and if you click on a word, you get to discover what part of speech it is, its definition and read a sentence demonstrating its usage. You can also adopt that word if you want, promising to use the word in conversation and in writing. What a great way to help kids build their vocabularies! If your kids are keen word collectors, you could suggest they make a saveable image of their collection by writing each word in a different font, popping them onto different backgrounds, and dropping separate word images into a collage template. Or go for a pencil and paper option which would be much easier. Free Rice offers more than word games. There are quiz type games in Maths, Geography, Languages, Chemistry, English, Humanities. The word game is under the category: English/Vocabulary. Basically, kids choose the meaning of a given word from four possible examples. Even if children are young, they can use a dictionary for help, and the game will present missed words again until players get them right. So what makes it creative? It's a moot point, but I think the whole concept of Free Rice makes it creative. For each question a player gets right, the site donates 10 grains of rice through the World Food Program to help end hunger. Isn't that a great idea! Philanthropy in a game. Kids are not just playing, and testing their own vocabulary, but conscious of playing for the greater good of humanity. Successful players contribute their mite to cope with one of the biggest problems facing our planet. So Free Rice is interactive and creative in that special way. I also love how the game keeps score, recording the total rice grains you've donated. Encouraging kids to play with words from when they're young is yet another tool in our literacy basket. Combining that word play with the magic of the internet helps them see words in new ways, develop a rich vocabulary, and immerse themselves even further in a love for literacy. If you're interested in words, you might like to read Messing about with Words to Increase Literacy, Word Fun at Only Connect, Iconscrabble, Fun with Words - Spell with Flickr, and KeyMaba. 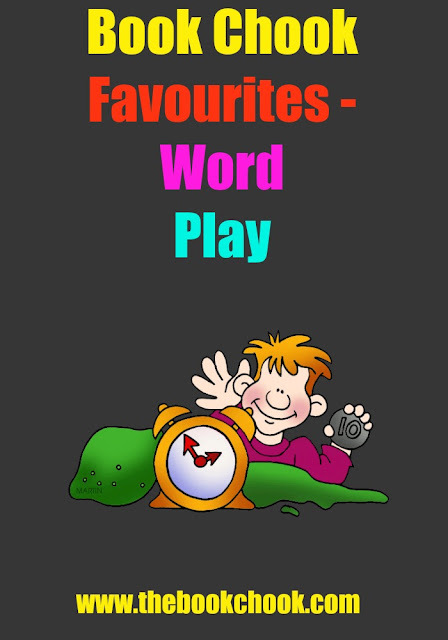 If you have any favourite online platforms for playing with words, creative or not, please let us know in comments.